A light rail vehicle. The Government’s preferred route for Stage 2 was well supported in public consultation. The ACT Government is now facing building a new bridge across Lake Burley Griffin and putting wires underground along the length of Adelaide Avenue as part of Stage 2 of the light rail network, works that could see the cost of the project blow out. Announcing that the Government had opted for the longer journey through Parkes and Barton as its preferred route for Stage 2 from Civic to Woden, Minister for Transport Meegan Fitzharris insisted that the cost of the project was still comparable with the official $707 million price tag for Stage 1, although some say the bill will be more like $1 billion. But she admitted that building a new bridge in the middle of the Commonwealth Avenue Bridge and avoiding any overhead wires near the Lodge and Government House as now desired by the National Capital Authority would likely add to the cost. “The costs are comparable in terms of the length and distance except for those bits we know are going to be more difficult and that is the bridge and wire-free running,” she said. But now the Government faces a change of plans with those two most expensive aspects of the project. Ms Fitzharris said there were two options to cross the lake – use the existing road or build a new bridge. She said the NCA had originally proposed that Commonwealth Avenue be reduced to two lanes of traffic but it had now ‘asked us to consider light rail on a new bridge in the middle of Commonwealth Avenue bridge and that’s the work that we are doing now’. The Minister said that the Government had always known of the NCA’s requirement for putting wires underground through areas of the Parliamentary zone but had believed wire-free running would stop at the back of Parliament House. On whether the Federal Government would pick up some of the tab, Ms Fitzharris said the Government was also talking to the Commonwealth about ‘infrastructure investment’ as well as the planning processes. She could not provide any cost estimate and said the business case would be some months away. Late last year the Government whittled down the route options to a more direct, shorter route via Parliament House and the other going through the Parliamentary Triangle to take in employment hubs and the national institutions. About three-quarters of respondents from last year’s public consultation backed a route that travels through Barton. But many remain concerned about the longer route and travel times and what impact light rail will have on buses, particularly along the Blue Rapid route. Ms Fitzharris said the city’s public transport system had to be seen as an integrated network and reassured commuters that there would be more rapid bus routes, all integrated into the light rail network to provide a better result overall. “We are going to have when light rail starts operating, light rail plus eight Rapid bus services right across the city,” she said. The Parkes and Barton route will require approval from the Federal Parliament and the NCA, and Ms Fitzharris said the ACT Government was currently working through the Commonwealth’s approval processes for the project to provide more detail. “Light rail stage two has been going through a rigorous planning process that involves negotiation with the National Capital Authority (NCA) and Federal Parliament due to the heritage and national importance of the Parliamentary Triangle. It is important that Government works closely with the National Capital Authority to ensure the project compliments the wider Parliamentary Triangle,” she said. But the possibility of Stage 2 becoming the subject of a Federal inquiry as flagged by ACT Liberal Senator Zed Seselja may also delay the process. The Minister accused the Senator of trying to sabotage the project by proxy, saying she continued to be worried about what the Canberra Liberals would do to continue to undermine light rail. “I am very concerned about the Canberra Liberals’ comments federally through Senator Seselja, expanding the scope of the Commonwealth Government and the Federal Parliament reach into a project that is funded by the ACT Government and supported by the ACT community,” she said. The Minister said it was not appropriate for the ACT Government to finalise the business case for the project until the Commonwealth’s requirements were further worked through. She said the City to Woden stage would be the most difficult section of a city-wide network to design and build because of the heritage and national significance of the area in which a significant part of it will be built. 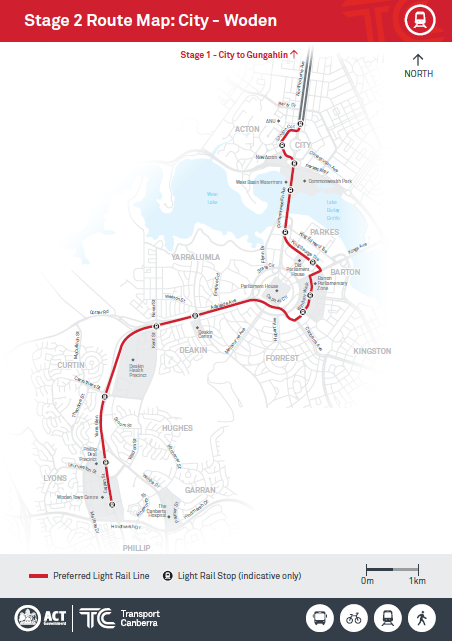 Since the 2016 election, the ACT Government had allocated budget funding, sought community feedback, undertaken stakeholder engagement and progressed expert technical analysis on the two route options between Civic and the Woden Town Centre. “I look forward to providing a further update in coming months. In the meantime, the ACT Government will continue to progress technical and work on the project,” she said. The original cost was $300 million, spruiked by their ABC which no one believed anyway, then they just started calling it $700 million only 18 months later thinking no one would notice that either. You could by an extra 6 bendy busses for $20 million. Stage 1 will end up costing $1.2 billion, their ABC are now softening up for the $2 billion stage 2 cost. So $3 billion for stage 3? Rattenbury want to build 6 stages? The local council’s own dodgey survey claims only 7% of commutes are by bus. No one will be able to afford to live there eventually. That would be super expensive as it would either require an underground supply system like Sydney is planning to use or more frequent and longer stops to recharge batteries. There are only two places in the world that I am aware of that have no overhead wires what so ever (though they do have overhead at stops to supply power to recharge the batteries). Everywhere else it is used for short sections to avoid sensitive areas. Here the might have done it better by using the street lights to hang the wire, along the Flemington road section in particular. And we are yet to see any poles along Northbourne. My hope is they use the brown poles they have used near stops on Flemmington road along the whole route. The width and trees should hide most of it anyway. Northbourne would have been good with a grass between the track too. I was disappointed when they didn’t choose to put grass between the track too – would have looked a lot better down Northbourne in particular. I think that we should have held off from the light rail until other modes of transport were considered fully, like self drive cars. When they take effect will the light rail be obsolete? All that money spent on old technology! Just a thought. Fast forward to the future and we have self driving cars, what do you think the cost would be? How many do you think there will be and do you think that maybe there might still be congestion and a need for MASS transport? More people; I imagine congestion will be massive. The tram, or/and other similar mass transport, will be needed even more. The trouble is, is that most of this constant, unrelenting, compulsive criticising of the tram, comes down to last century thinking; blinked vision of transportation being centred on the car. In the past spending on buses would likely have been criticised by many of these same people, but now to argue against the tram, the bus is suddenly ‘revered’ by these people. Most I would guess rarely use public transport. There will be a place for self driving cars, but in cities, bigger, more congested than today, it will need mass transportation as the main means of getting about. Self driving cars would be better in less crowed outer suburbs and country areas, where there is less congestion. If the cars are privately owned they will need places to park, like cars today. Sure they can park more compactly than today’s cars, but with more people than today, in a car centric world there will be more of them. If shared cars, there will still need to be parking when peak hour is over; otherwise peak hour traffic density will continue to fill the streets all day and night, as the cars roam about waiting for the next peak hour and passengers; and using energy to do so. Not my idea of a pleasant city to live in. And how much will that cost, a public car for almost each person? Because people won’t want to share. I’d like to see full transparency in the costings for stage 2. A new bridge, underground wires and minimal stops - who will this benefit? And at what cost financially and aesthetically. They don’t need underground wires. The trams they brought can be fitted with batteries to go short distances with recharging happening at stops. Ashley Wright just referring to what was outlined in the article. Should head to the airport and get Snow & Co to help fund it. After that, a straight run down to Tuggeranong. This was a no brainer. Overhead power is not permitted in the parliamentary triangle, therefore anyone with a modicum of sense could see the cost of taking the tram south is extremely prohibitive and will probably never go ahead. The government has always known this and misled the south side voters big time. That’s why the trams they brought are capable of battery operation for short distances. All it needs is a battery module to be inserted. Birmingham in the UK has the same trams. Disaster. Canberra is so spoilt Northburn Ave will never be as great to drive up. I agree, Northbourne Ave is now an eyesore and always will be. The various reasons that Infrastructure Australia said Light Rail was “unsuitable for Canberra” are emerging. We must wait and see if Stage 1 works first. The main benefit listed for Stage 1 was improved car travel between Gungahlin and Civic. Will this happen when people lose their express buses direct to their workplaces and have to stand on a slower tram. Main benefit for stage 1 is increased income due to higher rates. (At the expensive of other places in Canberra). Car travel and public transport is worse with light rail. Not to mention the need to change transport vehicle. This has always been the case, however there was no reason for stage 2. 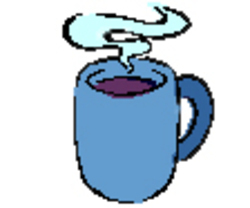 Its just been announced that we ‘need’ it. It is not too late for good sense to take over. Stop stage 2. Stop throwing good money (whose money?) after bad. The headline makes me laugh. Wire free and new bridge might mean cost blow out. Two points it was always known they would have to go wire free in this section even to the extent that the tender for stage 1 had a requirement that the trams be capable of being retrofitted for wire free operation. A poster above has linked to CAF’s super capacitor solution which is in use in Spain and is in use or will soon be in Birmingham. And a bridge over commonwealth Ave, again it was always an option. And I am not bridge engineer but who is to say it won’t actually be cheaper to install a new bridge between the existing spans rather than trying to retrofit onto the existing bridges? And thirdly there has been no detailed budgeted cost announced. So hit hard to have a blow out already. Oh and to the poster above who said 2/3rds of budget spend but only 1/3 work done pretty much standard really for infrastructure projects. Much of the cost goes into planning and finance. The word I have is everything is on time and no cost over runs. Now that most of the service relocation and road realignment has been done work should visible progress a lot quicker now. JC, do you know at this stage how many of the trams to be used on the light rail stage under construction are fitted with super-capacitors and the energy capture braking systems? My understanding is that none of them are which will mean that through passengers from the north of the City terminus will have to change trams to get on the ones which go to Woden via the Parliamentary Triangle as they only will all have the extras that are compatible with catenary free running. This appears to be a planning disaster. Just because you want to see a planning disaster doesn’t mean there is one. The light rail vehicles which are currently being delivered are designed to be retrofitted to wire free running before stage 2 opens. This won’t be an issue. So the cateneries from City to Gungahlin will all be removed when the (expensive) retrofit happens? Why didn’t they opt for wire free running in the first place? Oh and as for the Gungahlin section why do they need to remove the wires? The supercapacitor system still requires time under the overhead or in the case of the line being built in Taiwan an extended rest at the terminus to fully recharge. Wirefree is only for short sections. The answer is none re supercapacitors, but regenative breaking all of them have it. The difference with supercapacitors is the regenative braking energy goes to the capacitor rather than the overhead. But as I mentioned In my post the CAF Urbos 3 which are being delivered are capable of being retrofitted by simply inserting the super capacitor modules. Modularity is one of the design features of the Urbos 3 and as mentioned being able to retrofit was one of the specifications for the stage one vehicles. Who would have thought hey? They planned ahead! 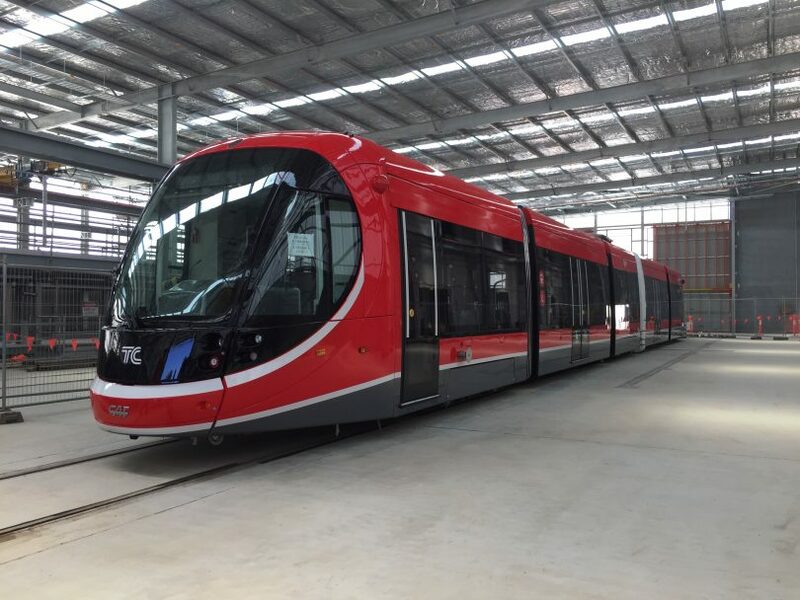 Unlike Sydney where the brought a dozen or so Urbos 3’s for the extension to the Pyrmont line only to shortly after buy Alstom for the new line with its proprietary ground power systems. Means the CAF’s won’t be able to run down George street. Going near the pollies, so all of a sudden, we need wire free??? Would you like their economy as well? Why link these two separate entities? Distraction via press release. Fitzharris needs to divert attention from the hospital disaster. Can it, go Belconnen > City > Russell > Airport > Queanbeyan instead. That was the recommendation of an Institution of Engineers presentation I attended years ago. Russel, airport, Queanbeyan would make more sense.